In Quechua, one of the traditional native languages of the Incan culture, Wayra is the word for Wind. Since 1989, Jaime Rodriguez (Wayra) has enjoyed an extensive performance and recording career as the founder of the traditional Incan music bands Llaqtaymanta and Inca Pacha. The exotic sounds of traditional Incan music can be dated back as many as five hundred years, representing one of the most well preserved forms of Native American culture. Wayra is the word for Wind. of carnival, cancion, tonada, and san juanito. 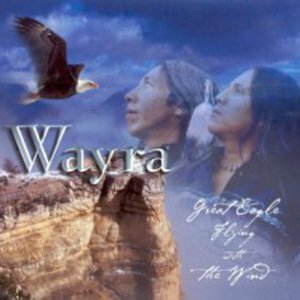 "Wayra - A Collection of Contemporary and Native American Themes". musical arrangements reflect his expertise and energy. appearances for 1999 and 2000.